← Coffee Lovers Blog Hop! Sheesh, it’s been a crazy week here, and I have some projects to catch up on. 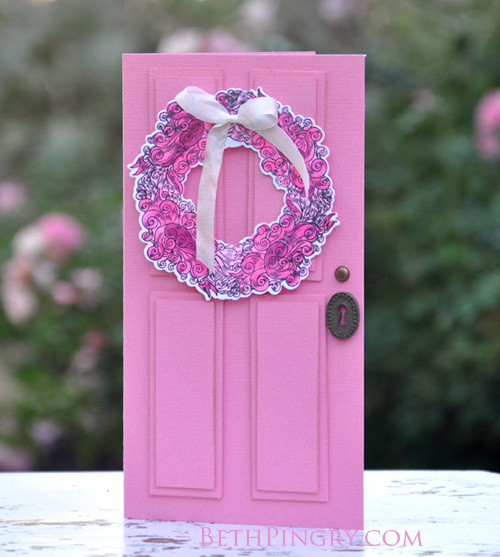 Today on A Jillian Vance Design I have this Wreath Of Hope Card, if you click over I have some details on how I made it. It is very pretty with the white on white embossing, but difficult to photograph when it’s dark and rainy. The Be Strong card one is very simple, the goal here was to only use the featured Scrapbook Adhesives by 3L products. The Pink Photo Corners are limited edition, ask for them at your favorite retailer! Scoop: Tomorrow is World Card Making Day, there are giveaways happening at Scrapbook Adhesives by 3L and A Jillian Vance Design‘s blogs, be sure to visit and enter! If I remember correctly, the theme was Pouf! 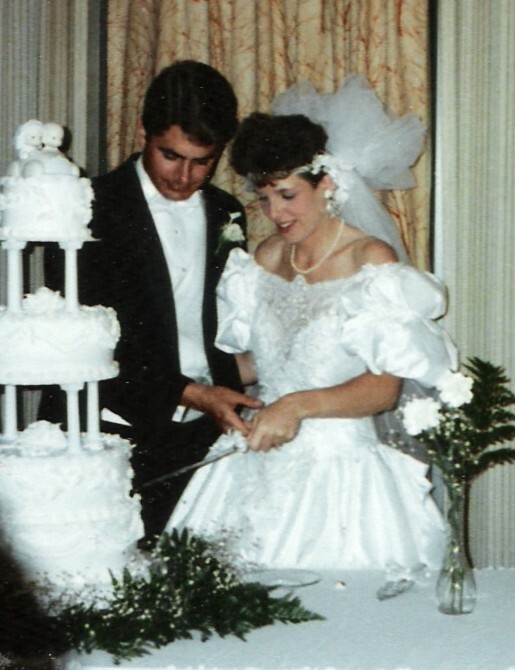 Big hair, big dress, big veil, big sleeves…oh and big cake! But we had big fun too (and still do)! One more thing! MyMarkers is featured in the November issue of Paper Crafts and Scrapbooking Magazine! What is MyMarkers? It is an app my hubby (the same one pictured above) wrote for me so I didn’t duplicate my marker buying. It is available for IOS and Android. Included in the app are all the craft and artist markers, and now ink pads too! Its a great way to keep track of what you have, and it also has a wish list so you know what you need! Happy weekend everyone! Thanks for visiting! Disclaimer: I am on the Design Team for both Scrapbook Adhesives by 3L and A Jillian Vance Design, and receive product in trade for blog projects. This entry was posted in A Jillian Vance Design, Announcement, Card, SCRAPBOOK ADHESIVES BY 3L and tagged a jillian vance design, My Markers, MyMarkers, SCRAPBOOK ADHESIVES BY 3L, WCMD, World Card Making Day. Bookmark the permalink. Happy Anniversary! I love the recap of the great cards from this week!